Since I've started selling online again, I have been reading up on good local couriers who can deliver my package conveniently and reliably. 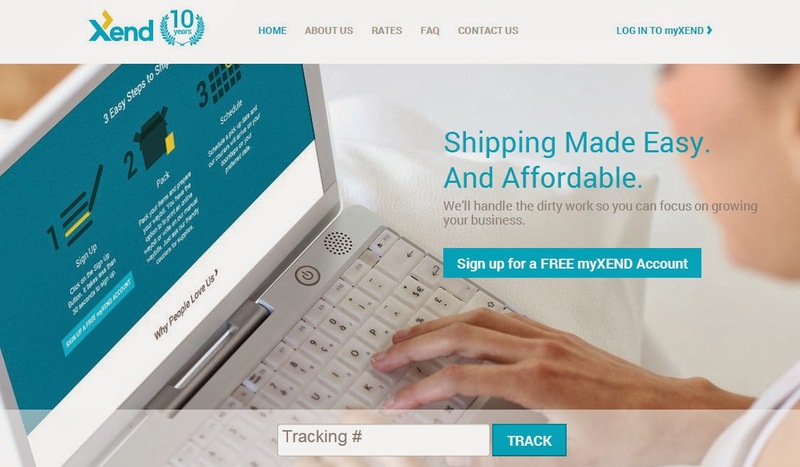 I have also researched on the couriers that other online sellers are using. Before this, the only couriers I am familiar with are LBC, JRS and Xend. Now, there are so many new players that offer delivery service to online sellers. It's great for us because we have so many options to choose from. I had 4 different packages to deliver yesterday, so I decided to book Xend, Philfox and Metrowide to try their services out. I booked Xend and Philfox last November 21 (Thursday). I booked my pickup with Metrowide on November 22 (Friday) for same day pickup. Philfox and Metrowide pickups were scheduled for Nov 22, while Xend pickup was scheduled for Nov 23. I waited for the couriers the whole day and not one of them showed up before 3pm. Since it was my first time to book their services, it really was an anxious wait for me as I didn't know if they were going to show up. I didn't want to disappoint my buyers so I thought of option B -- go to the nearby JRS or LBC and pay for higher shipping fees. I was prepared to go out by 4pm for my option B. By 3:40pm, the first courier came. Lo and behold, it was Philfox! Customer Hotlines - It was hard to call the Globe number during the time that I booked. On the morning of the pickup, I texted the Philfox Globe number and they replied to confirm my pickup. Pickup Time - Considering that I booked the pickup a day before, it took Philfox quite a while to pick up my package. Please note that this review comes from a first time customer. I didn't like it that they picked up my package late afternoon because it made me worry that they will not come at all. Customer Service - The messenger was polite and went about his work calmly when he arrived. He first gave me extra bags and waybills to use for the future. 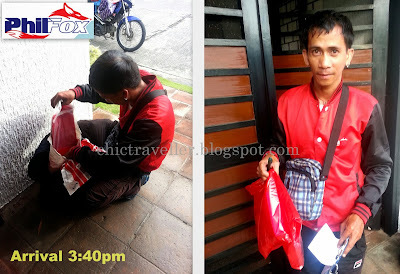 After he took my packages and gave me copies of the waybill, he also gave me their rates. The next courier that came was Metrowide. Customer Hotlines - I called the Globe number and NO ONE picks up. What's good about Metrowide is that they confirm online once your pickup is booked. Pickup Time - Metrowide's pickup time is at par with Philfox. One difference though is that Metrowide was booked on the same day. Customer Service - The Metrowide messenger was warm and friendly. He gave me a complete pack of extra bags and waybills eagerly. Customer Hotlines - I never had to call their hotline. I find their website easy to use. Their print waybill option doesn't work though. Pickup Time - I really like it that the messenger picks up the package before lunch. It saves me the hassle of checking up if messenger will actually arrive. Customer Service - The Xend messenger in our area is very accommodating. The first time I shipped with them, I didn't know how to wrap the package properly. I shipped a gas fryer and I didn't have a box for it. The messenger willingly wrapped the package for me. For those who are searching for courier services in Metro Manila, I made a summary of the couriers (based on their smallest pouch size) and their rates. I hope this helps! Update: I've written a Part 2 of this courier review detailing my experience with their tracking & delivery services. Click for the link here.